Matt Kahn LIVE in Sedona! All seating is GENERAL ADMISSION and on a first-come, first-served basis. What if Heaven is being reborn on Earth? What if your heart acts as the gateway through which the light of Heaven enters your world? Are you ready to awaken Heaven on Earth without having to wait for an entire planet to become more conscious? 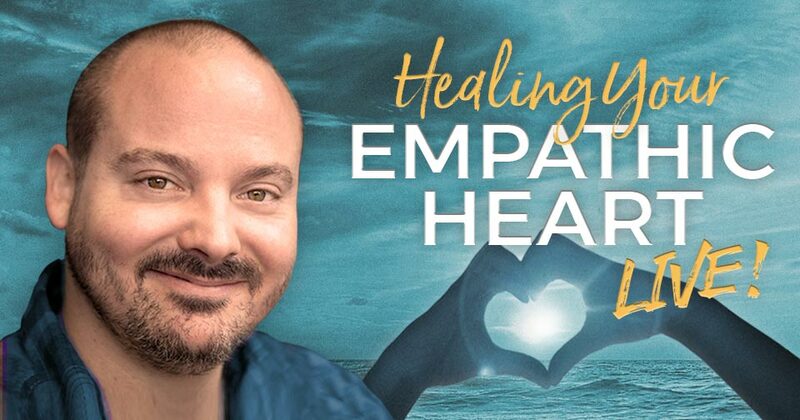 If you are ready to experience a brand-new dimension of Heavenly perfection and personal power, then please join best-selling author, YouTube sensation, and empathic healer Matt Kahn to experience the rebirth of Heaven that is waking up within you. This two-hour group healing event will serve as an introduction to the full-day immersion the following day. Those who are unable to attend both weekend gatherings are able to purchase livestream passes for either event. If you are ready to merge your spiritual and personal aspects of self together as One, then this event will be an energetically charged quantum leap into a new frontier of existence. This one-day immersion is your opportunity to experience the beauty, holiness and serenity of true joy without needing anything in your life to change in order for you to feel and be at your best. If you are ready for more flow and less struggle, more direction and less indecision, and more pleasure and less frustration, then this one-day immersion will be an easy way for you to correct your course and begin feeling good about who you are, the life you are living and the long-awaited destiny coming your way. Discover what has nearly 12 million YouTube viewers feeling loved, supported, awakened, and opened to the greatest possibilities in life as part of “The Love Revolution.” The video teachings we offer are a mere taste of the full-body experience of our LIVE events! Don’t just hear about it online afterwards, but come be in the healing energy as the spontaneous transmission unfolds. Each gathering is a living, breathing, visceral experience of unconditional love to inspire your soul’s journey to be reawakened, and reimagined in the most heart-centered way. Using his laser-like, highly-honed intuitive abilities of seeing, hearing, feeling, and direct knowing, Matt Kahn feels the emotions of others and is able to accurately pinpoint what blocks any heart from opening. As a result, he brings forth revolutionary teachings through the spoken word to assist energetically-sensitive beings in healing the body, awakening the soul, and transforming reality to its absolute potential. At each live event, Matt delivers channeled teachings that guide you into higher levels of consciousness with humor, gentleness, and ease. If you’re ready to explore your life’s purpose on a deeper level, feel more aligned with Spirit, and contribute to the awakening of humanity by shining your light as never before; you are invited to receive the timeless insights, loving wisdom, and healing energy that are offered at each Soul Gathering, Weekend Immersion, and Retreat event. The messages, healing energies, and “It’s amazing how he’s speaking just to me!” moments are a part of the alchemical combination that have had people coming back to these gatherings again and again from states and even countries away. Matt Kahn is a spiritual teacher and highly-attuned empathic healer. He is the author of the books, “Whatever Arises, Love That" and "Everything Is Here To Help You." His spontaneous awakening arose out of an out-of-body experience at the age of 8, and through his direct experiences with ascended masters and archangels throughout his life. Using his intuitive abilities of seeing, hearing, feeling, and direct knowing, as an empath, Matt feels the emotions of others and is able to pinpoint what blocks any heart from opening. As a result, he brings forth revolutionary teachings through both the written and spoken word that assist energetically-sensitive beings in healing the body, awakening the soul, and transforming reality through the power of love. Please purchase your tickets in advance. Ticket prices increase by $15 at the door. © 2019 BrightStar Live Events on behalf of Matt Kahn All For Love. All sales are final. Tickets are non-refundable.